When you hire a professional organizer/productivity consultant, you are hiring a skilled specialist trained to help people create order where it is lacking. These professionals use proven principles to develop solutions to meet the unique needs of their residential and business clients. They provide support and motivation to the client throughout the process and they teach the client how to maintain the organization and to continue to be productive. What does being a NAPO-DFW member mean? 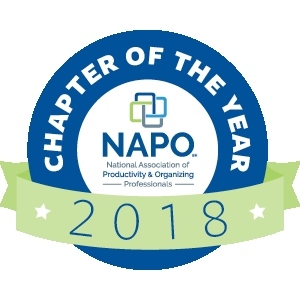 NAPO-DFW members have an advantage over those who are not part of the organization because they are associated with like-minded professionals who support and educate one another. NAPO-DFW members are professionals who care about client satisfaction as well as sound business practices. All NAPO-DFW members have pledged to work within the guidelines of the NAPO Code of Ethics, which includes providing confidentiality and fair independent pricing to all clients. Members of the NAPO-DFW have a directory of organizing resources at their fingertips. The members have access to classes, seminars and conferences, and learning from their colleagues. 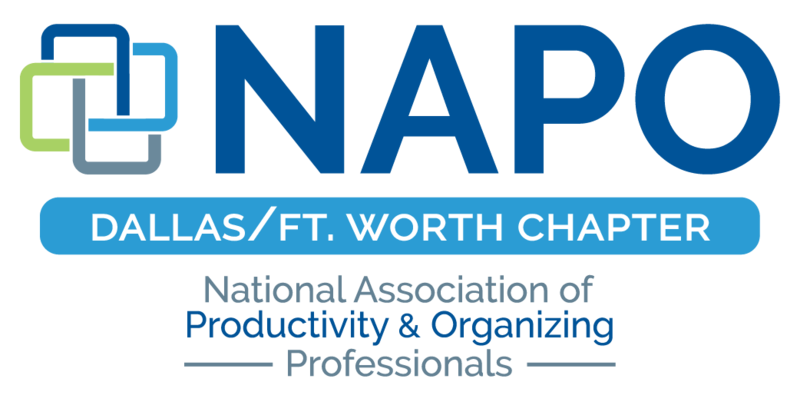 Are you a member of NAPO-DFW?